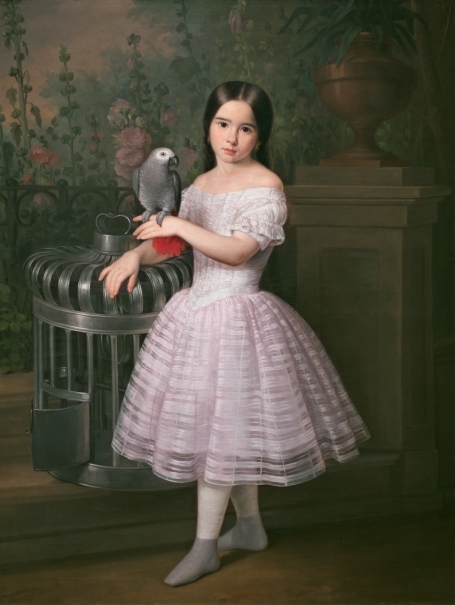 The portrait of Rafaela Flores Calderón is part of an anthology of Spanish Romantic child portraits. Rafaela leans on a large empty cage while a gray parrot perches on her left hand. In the background a flower garden has a pedestal topped by a large vase on the right. 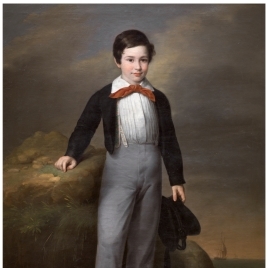 Notable here is the painter´s special sensitivity at capturing the model´s natural elegance, which recalls English child portraits. The precise drawing and sober palette are emphasized by a few colorful touches, such as the cage and flowers that frame the setting of this girl´s portrait. 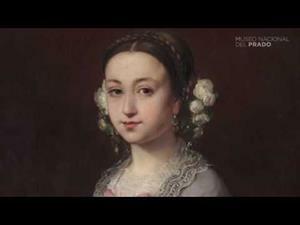 These works were donated by Manuel Flores Calderón to the now-defunct Museum of Modern Art and accepted by Royal Order of 27 May 1911. Height: 138 cm. ; Width: 105 cm.